One piece of feedback we hear from our users is that they want an easy way to send helpful notifications to their people. 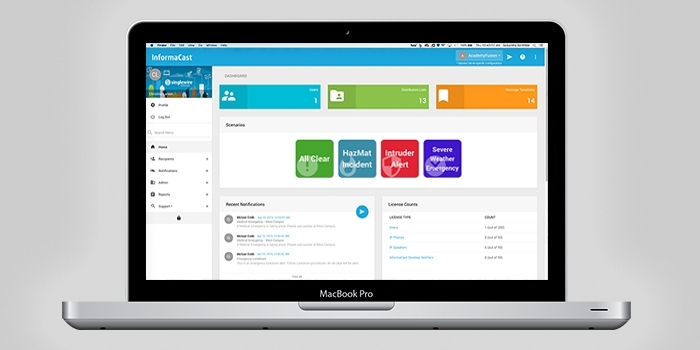 Command Center is a new feature available within the InformaCast Fusion web console that helps them do just that. Available with InformaCast Fusion, Command Center offers InformaCast users an easy way to build and send messages that keep people safe and informed. Using customizable questions, icons and templates, dispatchers can include all the necessary information and get it in the hands of the right people. In this blog post, we’ll walk through how InformaCast Command Center makes it easy for administrators to quickly send detailed emergency alerts. The purpose of Command Center is to offer an easy way to launch notifications that include information relevant to the recipients. One of the ways we accomplish this is by giving users the ability to set up icons to represent common scenarios they may encounter. These icons, along with text and color customization options, make it simple for a user to identify and trigger an alert. The icons are can be associated with prebuilt messages and groups, as well as questions the user can answer to provide additional details in the message. When configuring Command Center notifications, administrators can add questions that the user can answer to provide additional details. These answers will then be included in the message that is ultimately sent to end users. Questions can include details like where the emergency is happening, a brief description of an intruder or what kind of medical emergency someone is experiencing. These questions are completely customizable to best suit the needs of the organization. The person answering those questions can also select predetermined InformaCast groups to receive the message. This could include an entire organization or specific group like the security team. In addition to making it easy to send and customize notifications, Command Center also allows you to simultaneously send distinct messages to different audiences. For example, if an administrator clicks on a scenario icon, they can select who receives what message. In an intruder scenario, three notifications could be sent at the same time: a “shelter in place” message to the western half of a campus where they intruder was seen, a “stay away” message to the eastern campus to prevent them from entering a dangerous situation, and a detailed action plan to the safety team to help facilitate an efficient response. One of the other advantages of leveraging Command Center is its integration with Microsoft Teams. 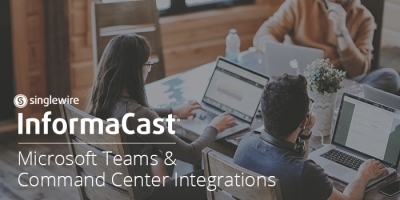 InformaCast Fusion can now send messages directly to Microsoft Teams users. 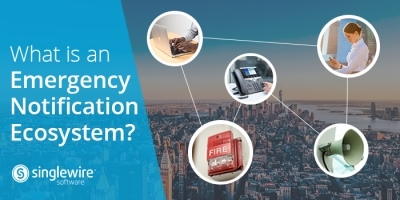 This serves as another endpoint to extend the reach of your emergency messages. With Command Center integration, you can also launch notifications from directly within the Teams interface. Using the InformaCast bot and an adaptive card, Teams users can mimic the functionality of Command Center to trigger notifications that reach of their devices and people. This makes it easier than ever to quickly spread the word about an emergency. Leverage these features in Command Center to increase the speed and reach of your emergency messages that help keep your people informed and out of harm’s way.